Every year, my office takes a break from our daily grind and our CEO sends us all out to the mountains for a weekend of snowboarding together. We travel as a group, snowboard as a group, and inevitably collaborate as a group on creative ways to take on upcoming projects. Some of our best work has happened when we’ve broken away from our routines and worked together in an environment that was totally unfamiliar with any of us. When I come back from these trips I feel more connected to my coworkers, mentally refreshed, and excited to get back to work. This annual outing is just one example of how businesses and teams are seeing the benefits of getting coworkers outside together. It’s good for the work environment, it’s good for your health, and hey- it’s simply awesome to be outdoors more. Chances are, if you’re getting outside on an adventure with coworkers (large or small), there’s going to be something to laugh about. Being in the outdoors means opening yourself up to randomness, and randomness has a funny way of eliciting a few giggles here or there. 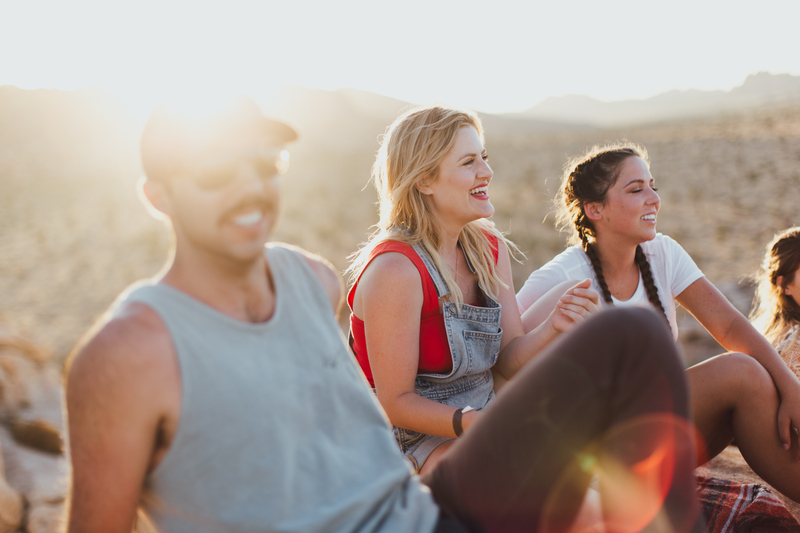 While this not only creates a fun, friendly atmosphere (and who doesn’t like hanging out with another person who can have a good laugh), there are serious health benefits associated with the act of laughing. It improves mood, strengthens social bonds and helps alleviate the potentially harmful effects of stress. And what is it that most people are stressed about? Work. Everyone can benefit from this! At some point during an outdoor activity, you and your group is going to face a challenge. Whether that challenge is problem-solving who’s going to carry the extra cheese during the bike tour, or something larger like what to do if you realize the last turn you took through the woods was the wrong one and you need to find your way back before the sun goes down. Working together to solve problems allows you to get to know your and others’ strengths, and allows you to create a bond in overcoming a challenge together. You’re going to feel like Paul has your back after this, and bond with the rest of the group as you recount conquering the exciting and challenging day over that post-trail cheese snack. Sharing snacks or meals with others is fun. Why is that? 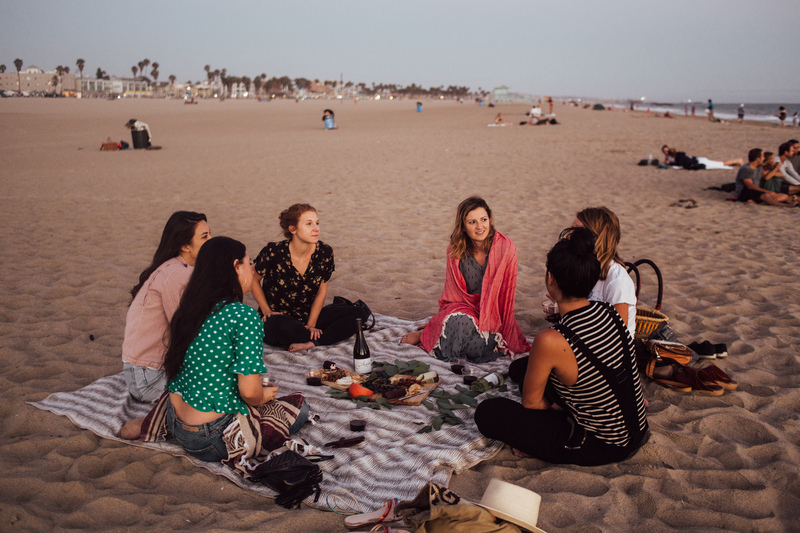 It’s because the act of sharing food and eating together with a group triggers the parts of our brain that work on social relationships- causing us to feel more connected, and happier. When you and your coworkers go into the outdoors as a group, food will at some point be a part of the equation. While some benefits of eating together are immediately noticeable; i.e. enjoying yourself and the food, there can be long-term benefits as well. The feeling you have sharing similar foods with others while enjoying a post-adventure refuel will help you bond with your coworkers and help increase your empathy with the group. When you come together on your next project, this extra goodwill could help smooth over hurdles you encounter along the way. Deadlines getting to be too much? Fran the next desk over chew too loud when she has her regular 10:23am handful of almonds? Getting outside with coworkers helps form bonds and bridge gaps that seemed too wide previously to cross between yourself and those you get outside with. It gives you an excuse to (actually) forget about work for a minute and instead focus of getting rid of that pent-up frustration about your deadlines or the new project you know is looming up ahead of you. Instead of spiraling into a water-cooler gossip fest (which, whether we like it or not, are all guilty of at some point), that pent-up energy is better spent fueling you all to the top of the trail. Not bad for a Monday, am I right? It’s hard when you get set in a routine in the office. Every day is similar to the last, and even if the work you do varies from day to day, the habit of coming into a workspace can begin to get automatic and robotic. Routine and regimen is the enemy of creativity, and when you break up your routine with your crew coworkers, it opens up some bridges to creative solutions to work problems. It also will stimulate new conversations you wouldn’t have while you’re indoors in the office, and could be what leads you to your next big breakthrough. And lastly, a bonus reason why getting outside with your coworkers makes for a better work environment- it’s just fun. Fun is something everyone needs in their lives, and is associated with things like, “Happiness,” “Satisfaction” and, “Delight”; creating a positive work life balance for yourself and your coworkers. Now, who wouldn’t want that? Use Adventure Aide to plan your next company outing! 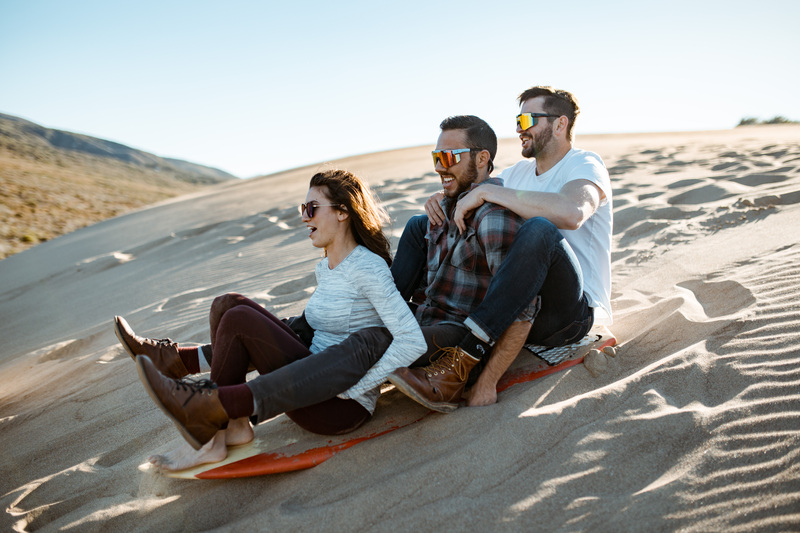 Find unique adventures near you, connect with cool people and get outside. Download the app.